Alongside Dr Elaine Saunders and Professor Peter Blamey, artist and designer Leah Heiss has created a revolutionary hearing aid that is not only increasing people’s quality of life – it’s won a prestigious Good Design Award. 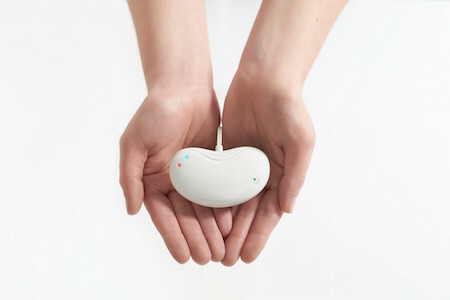 Good Design Australia awarded the IHearYou the Inaugural Social Innovation award at this year’s awards. Eliminating the need for specialised audiologist appointments, The IHearYou ‘Self-Fit’ Hearing System enables users to adjust their acoustic preferences via a smartphone app. With over four million Australians suffering some form of hearing loss, Leah’s work in the wearable medical devices industry is set to remove crippling costs and stigma, and benefit many lives. 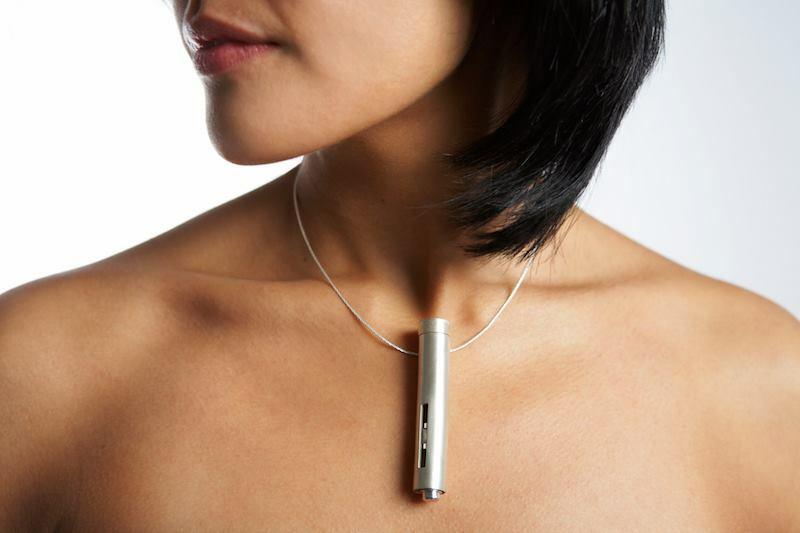 In a bid to curb embarrassment and social stigma surrounding “unattractive” medical devices, Leah Heiss creates wearable medical jewellery, including hearing aids, biosignal sensing jewellery, and emergency pieces for times of crisis. By combining visually stunning jewellery with medical technology, Leah designs devices that are not only a keepsake, but ones that have the power to keep those in need healthy. Leah spoke about the incredible technology she uses in her work at CUSP’s Therapeutic Design event at the Mornington Peninsula Regional Gallery, on April 27. Heiss, who specialises in technology focused jewellery, says exhibiting her work is a critical part of her practice. In the last 12 months, Melbourne-based Heiss has showcased her work in numerous high-profile exhibitions, including RMIT Design Hub’s The Future Is Here – a show that brought together designers and innovators, and stimulated discussion on the future of art, science and collaboration. 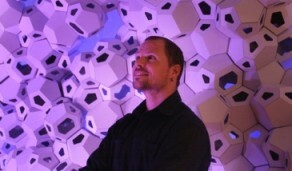 Check out other pics of the exhibition at the RMIT Design Hub’s website. Heiss walks the line between artistic taste and technology, and specialises in combining art, design and science, to create advanced technology that not only looks great, but helps people too. 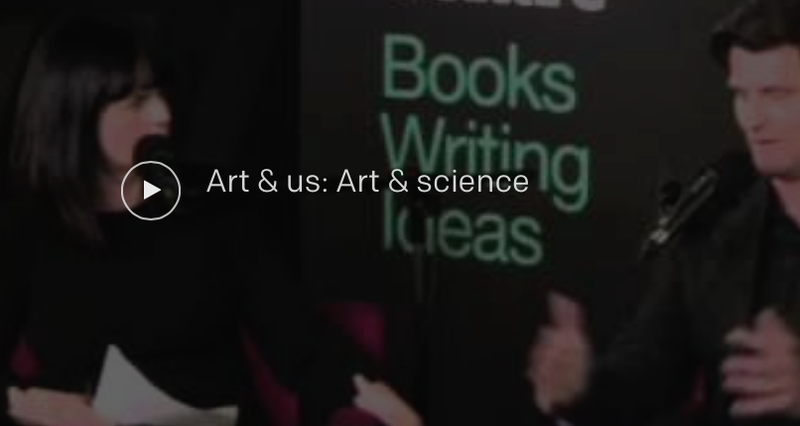 Last year, Leah was in conversation with artist Briony Barr at The Wheeler Centre, where they discussed the idea of art pushing the boundaries of science towards practical, new, and real-world discoveries. 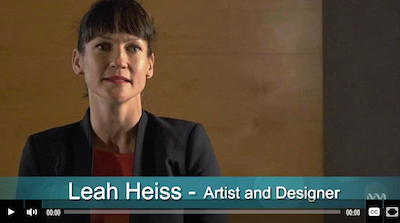 Heiss spoke to ABC’s program Splash about her creative and collaborative process to develop wearable medical jewellery. The segment, which aired last year, touched on Leah’s past projects – including jewellery and rings that eliminates the need for diabetes sufferers to inject insulin – and explored the designers excitement about the potential of micro and nano electronics transforming already existing pieces of jewellery or textiles into life-saving medial devises.